Sometimes it feels very tempting to jump into the design phase without doing research about user. This can be dangerous for the product and destroy its experience. 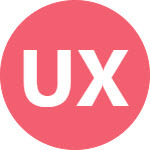 A good approach in user centered design process is to create user personas based on user information including his bio, skills, behaviors and expertise. Refer to this persona many times while designing the product. This will help to follow the right track. A designer is not a user, neither he could be. He should not rely on his own assumptions and likes/dislikes while making design decisions. UX designer role is much related to human psychology. He needs to understand human psyche in order to develop user flows and interactions. He should be able to predict the users actions while navigating through the design. Then he can put this information into papers and screens. All this can be done based on designer’s knowledge about human behavior in general and specifically about his users. You are right Gary, content plays very important role in making a design usable.